SWINDON AERATED WATER SUPPLY COMPANY - SWINDON, THIS IS SWINDON. 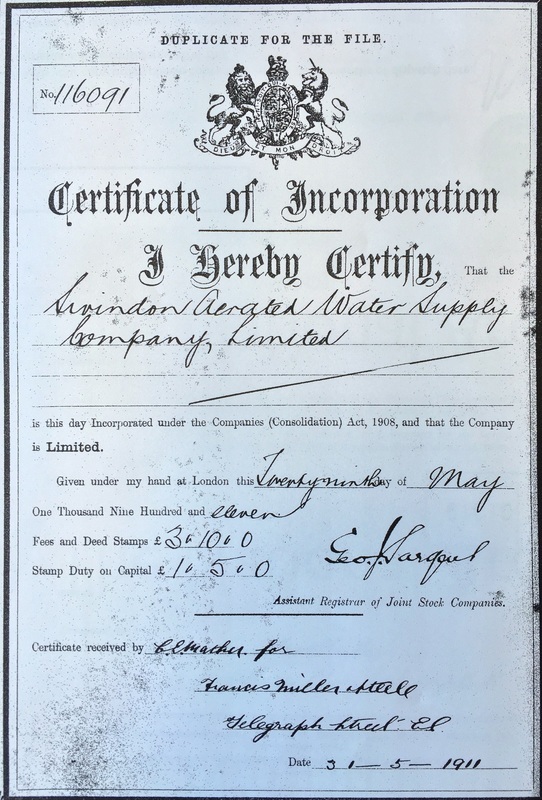 Company No: 116091 Swindon Aerated Water Supply Company Ltd was incorporated on 29th May 1911 by Frederick Carrier and James Winslow. Frederick was an accountant and James was a general trader. They employed Thomas Charles MORGAN to run the business and issued him 50 shares in the company. At the same time they agreed to purchase the whole of the MORGAN business from Thomas's wife, Annie Jane MORGAN including an annual tenancy rental of £26 to be paid weekly. 31st Aug 1911 sees the business move its Registered Office to Regent Chambers, Regent Circus, Swindon. The company had repeatedly failed to update its records with the UK Gov and was registered as closed in 1914 and was finally dissolved on 19th Feb 1915 with a notice in the London Gazette.